Let's quickly whizz back to 2008 - only four films at the time had reached the prestigious milestone of earning $1 billion worldwide in theatrical revenues; now, that accolade goes to 17 films. With the advent of increased ticket prices and the popularity of 3D (maybe not so much now) and IMAX, most films with a reasonably popular fanbase these days can top $1 billion without intense effort. Many films have even seen rereleases to boost their previous earnings and many have consequently generated over a billion as a result. Despite such success, not every film to earn such money is amazing - and so in this two part list we shall go from the very worst to the very best of movies which have managed to make such big bucks in Hollywood. After apologizing for Revenge of the Fallen's racist humour, perverted cinematography and downright awfulness, there was some hope that Bay would at least try a little harder with the third installment - and the awesome trailers really solidified that hope. But it was all a waste. Despite earning a stunning $1.1 billion worldwide, Dark of the Moon was panned by audiences and critics and rightfully so - the film is a bloated, boring and unfunny mess, with a poor storyline and some atrocious dialogue. Bay managed to make his third installment much worse, and to say I fear for Age of Extinction is an understatement. Released three months after James Cameron's Avatar, Tim Burton's Alice in Wonderland was always bound to do good business due to the new fame of 3D and IMAX in cinema, which helped it close with $1.025 billion in box office receipts. Injecting an epic narrative into the original trippy story is an admirable move, but the end result is a mediocre and embarrassingly melodramatic fantasy film that forgets pacing and coherent plot in favour of endless CGI. Originally earning $924 million in the summer of 1999, The Phantom Menace crossed the money making milestone after a 2012 3D rerelease - and has currently earned an enormous worldwide total of $1.027 billion. 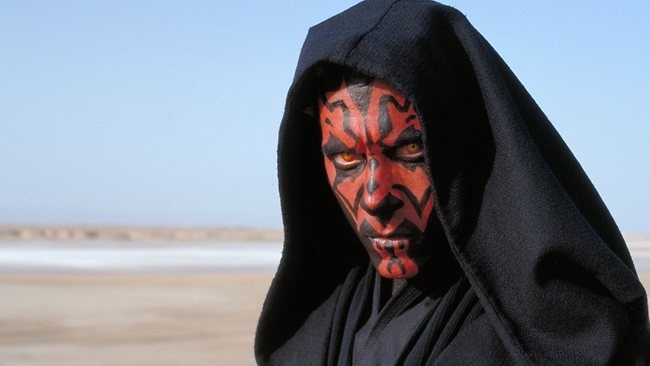 The highest grossing of the Star Wars films, Phantom Menace is also regarded as the worst; Lucas has written a script with some excellent ideas and thrilling action, but a onslaught of awful dialogue, bland acting and the most annoying sidekick of all time bog down the premise into something very uninteresting. Not as bad as its sequel, but a meh film nonetheless. 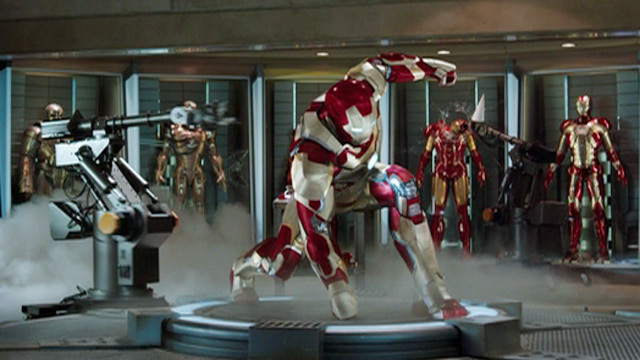 After Avengers was released to enormous success in 2012, last year's Iron Man 3 was apt for success as many viewed it as a highly anticipated follow up. The film went on to earn $1.2 billion worldwide, $409 million of which came from the US alone. The trailers really evoked a sense of drama, with a lot at stake and a new villain determined to bring Tony to his demise, but all this was false advertising to say the least. Iron Man 3 is decent at times, but lacks the intelligence of the other Iron Man films and has a truly abysmal twist and a ridiculous ending. I admire the effort, but the end result is nothing special. 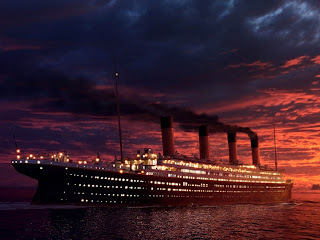 Titanic held the record for highest grossing film for a whopping 11 years, surpassed by Cameron's own Avatar in 2009. Its global earnings of $1.8 billion grew to an enormous $2.1 billion after a 2012 3D rerelease, which made it one of the most successful rereleased films ever and the second highest grossing film of all time. 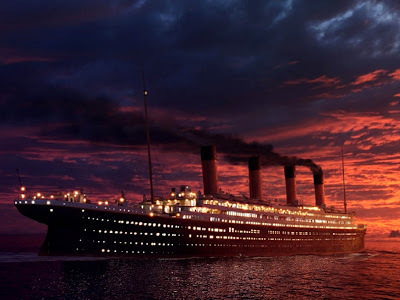 It's bloated length and uninteresting romance makes the film largely a bit boring, but the climactic sinking scene is easily one of the best moments it has to offer. Other than that, it's a good film, but not a very enjoyable one. 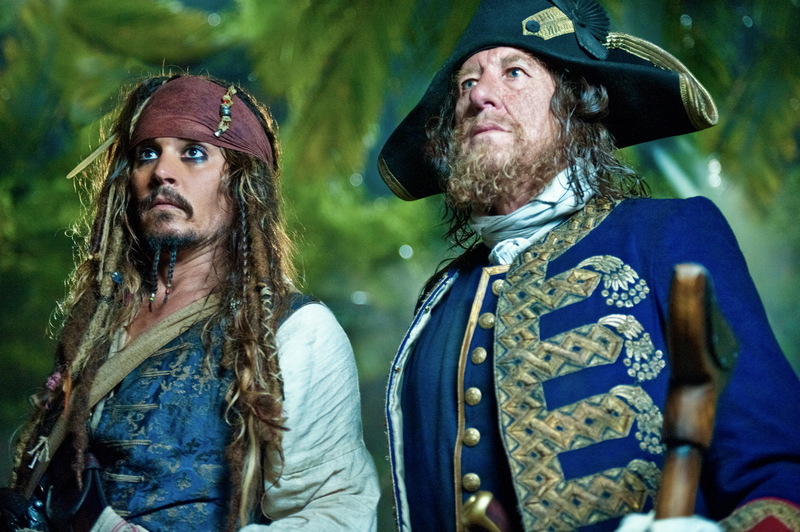 Despite being the lowest grossing Pirates of the Caribbean film in the United States, On Stranger Tides nevertheless did excellently overseas to accumulate a worldwide total of $1.043 billion in box office takings. I'm a huge fan of the series despite its mixed reception, but On Stranger Tides lacks the interesting plot of its predecessors and instead feels like a forced installment with no real purpose. Ian McShane is a badass as the films villain Blackbeard, but even he is underdeveloped to a point where it seems the writers just gave up. An enjoyable film, but definitely not a great one. The recently released Desolation of Smaug, the second part in Jackson's 3-part Hobbit film series, has further proven that the acclaimed director doesn't know when to stop when trying to cram in every single detail into a film, no matter its relevance. Bloated run times have plagued his Lord of the Rings trilogy (good as it is) and his 2005 King Kong adaptation, and now he seeks to create a 3-part epic from a simple 300 page book. It's not working too well as the run time does take its toll, but the first installment released in 2012 was still fairly enjoyable despite its shortcomings - thanks to excellent special effects and a good balance between humour and scope. It's a disappointing reception will surely have a knock on effect on it sequels profits, but An Unexpected Journey still surprised with an impressive worldwide gross of $1.017 billion. Officially the highest grossing film of all time, Avatar set endless box office records when it debuted in 2009 and left cinemas with an unimaginable total of $2.7 billion, $760 million of which was earned in the US alone. It's incredible success was attributed to Cameron's fame and the nature of its groundbreaking special effects, which placed actors in CGI alien bodies within the lush fictional moon of Pandora. While the effects and mythology surrounding its premise are highly polished, the same can't be said for the story, which force feeds a painfully obvious message of environmentalism and ends up being too black and white for its own good. Despite the shallow plot, Avatar is still an enjoyable film, and the amount of effort that went into it is incredible to say the least. This list will continue in Part 2, coming soon! Thanks for reading!